This book has sought to make a critical view of e-government developments from the point of view of the perception of stakeholders about e-government projects and their effects. In this section, a trip across all chapters included in the book is performed, highlighting the main results of the research undertaken in each one of them. All these chapters make high-quality contributions into e-government research and set the base on which future developments on e-government efficiency studies could be built. 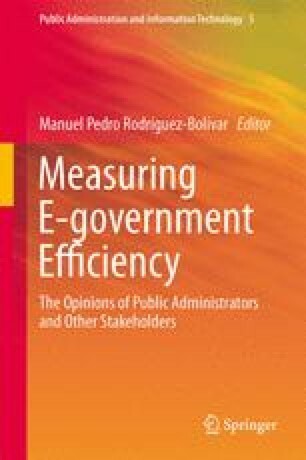 In general, e-government developments seem to be positive for citizen engagement and for efficiency in public sector tasks, but the implementation of e-government projects needs to consider some main internal and external challenges that have been identified in the empirical studies included in the book such as employee training in new technologies, privacy and data security, greater involvement of citizens in public sector management, or the need to change government culture.